Benjamins are delighted to present this four bedroom detached bungalow for sale in the South Nottingham Village of Keyworth on Debdale Lane. 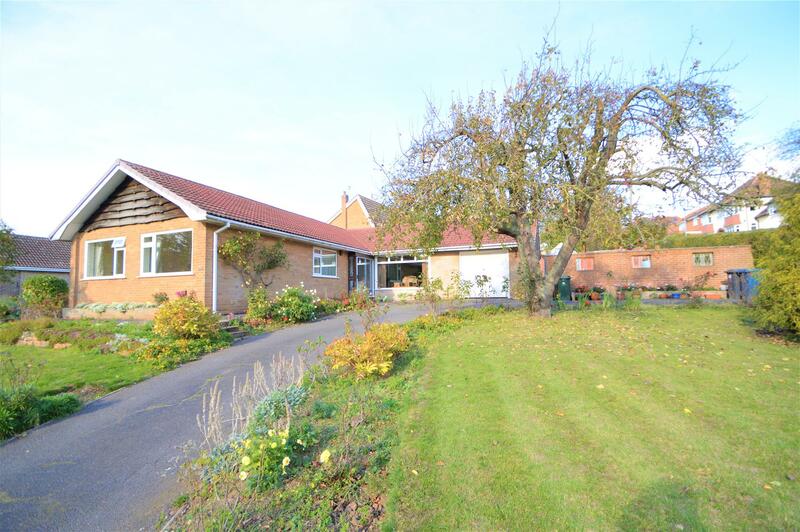 This detached bungalow is ideally situated with shops and other local amenities being within easy walking distance. The property briefly comprises: entrance porch, entrance hallway, living room, fitted kitchen, two large double bedrooms and two further bedrooms, family bathroom. Whilst also benefiting from Upvc double glazed windows, gas central heating, single garage and a large sweeping front driveway providing ample space for car parking. 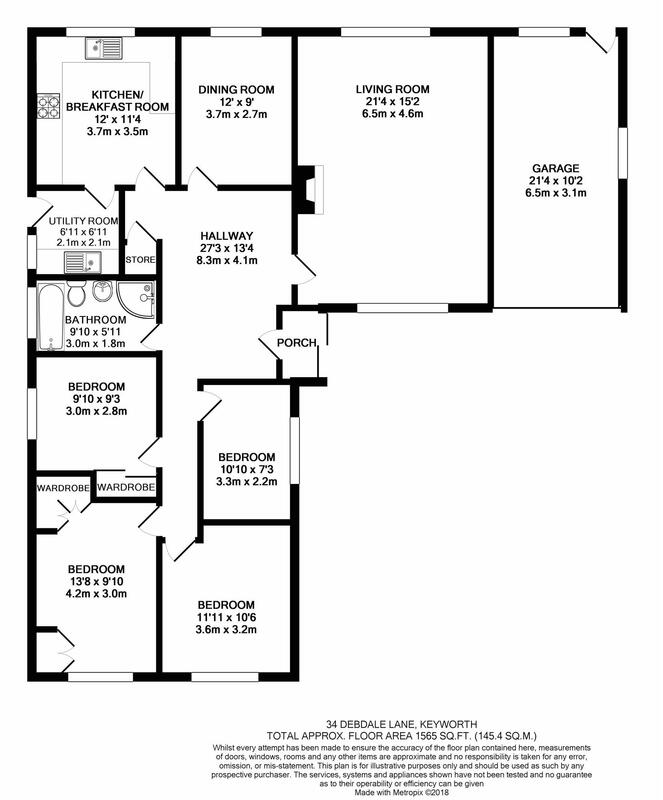 To really appreciate the living space on offer an internal viewing is highly recommended. Doors leading to Living Room, Dining Room, Kitchen and Family Bathroom with a corridor leading to all Four Bedrooms, radiator, built in cloaks cupboard and cupboard housing combination boiler which was fitted in 2014. Double glazed windows to both the front and rear elevation, radiator, two ceiling light points, two wall mounted light fittings, T.V point, Gas fireplace with stone surround and adjacent shelving. Double glazed window to the rear elevation, fake wooden beams on the ceiling, ceiling light point, radiator, serving hatch leading through to the kitchen. Double glazed window to the rear elevation, roll top work surfaces with wall and base storage units, radiator, electric oven, four ringed gas hob with extractor fan over, tiled splashbacks, one and a half bowl stainless steel sink with mixer tap over, ceiling light point. Double glazed window to the side elevation with door leading out to the side access, wall and base storage units, sink and drainer with mixer tap over, tiled splashbacks, plumbing for a washing machine. Double glazed window to the front elevation, ceiling light point, radiator, T.V point, telephone point, carpet. Double glazed window to the side elevation, ceiling light point, radiator, built in wardrobe, carpet. Double glazed window to the side elevation, ceiling light point, radiator, carpet. Four piece family bathroom comprising of bathtub with mixer tap over, low flush w/c, wash hand basin with base units, shower cubicle with shower head over, spotlights, chrome heated towel rail, obscure double glazed window to the side elevation, tiled walls. The front of the property has a large area laid to lawn with large tarmac driveway leading to the front porch and single garage with planted borders and shrubs. Gated pedestrian access to the side and rear of the property. The elevated rear garden has hedgerow and fenced borders with a selection of plants and shrubs, garden shed/summer house, vegetable plot, outside toilet and outside store. With up and over door, power and lighting. rear access to garden. The local authority Rushcliffe Borough Council has advised us that the property is in council tax band F, which we are advised, currently incurs a charge of £2,731 (2018/19) Prospective purchasers are advised to confirm this.